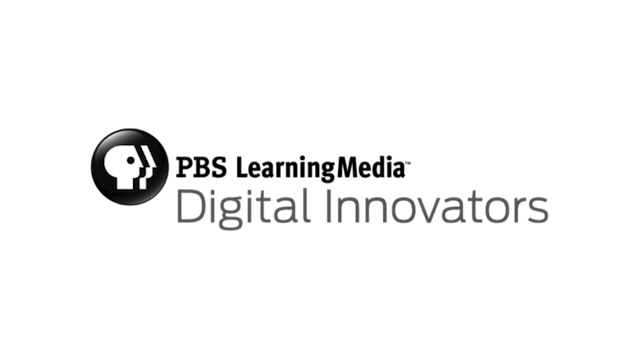 Arlington, VA, April 8, 2015 – PBS LearningMedia, the on-demand digital media service from PBS offering over 100,000 digital resources for educators, today announced the 100 educators selected for the 2015 PBS LearningMedia Digital Innovators program. The program, which is in its third year, recognizes tech-savvy K-12 educators who are serving as leaders in the education technology space and incorporating digital media in classrooms. The 2015 PBS LearningMedia Digital Innovators will receive year-long professional development opportunities that include virtual trainings, access to premium and exclusive resources from PBS LearningMedia Custom service, invitations to special events, and access to a free PBS TeacherLine professional development course. PBS LearningMedia Digital Innovators will also receive ongoing support in their community from their local PBS member stations. In addition, the top 30 applicants will serve as leads of the program and will receive an all-expense paid trip to Philadelphia to participate in the 2015 PBS LearningMedia Digital Summit and the International Society for Technology in Education (ISTE) conference. All Lead PBS Digital Innovators will also receive a Samsung Galaxy(R) tablet to continue their use of technology in the classroom. The 2015 Lead PBS LearningMedia Digital Innovators are listed below. The full list of PBS LearningMedia Digital Innovators is available at http://www.pbslearningmedia.org/collection/digitalinnovators. PBS LearningMedia received hundreds of applications from leading teachers throughout the U.S. and its territories. Judges selected the 100 educators based on submissions of videos and written essays that addressed how they are creatively using digital technology and tools in the classroom to drive student achievement. As America’s largest classroom, PBS offers digital content and services for teachers of children from pre-K through 12th grade that help bring classroom lessons to life. PBS LearningMedia, a partnership of PBS and WGBH Educational Foundation, is a free and paid media-on-demand service offering educators access to the best of public media and delivers research-based, classroom-ready digital learning experiences to engage students in exploring curriculum concepts that align with National and Common Core State Standards. Nationwide, more than 1.6 million educators and users have registered access to more than 100,000 digital resources available through PBS LearningMedia. More information about PBS LearningMedia is available at www.pbslearningmedia.org or by following PBS LearningMedia on Twitter and Facebook.